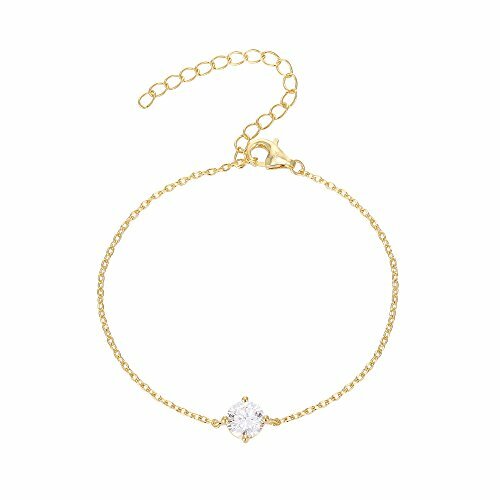 PAVOI 14K Gold Plated Simulated Solitaire Diamond Bracelet - Yellow by PAVOI at Lamont Design. MPN: singleczby. Hurry! Limited time offer. Offer valid only while supplies last.